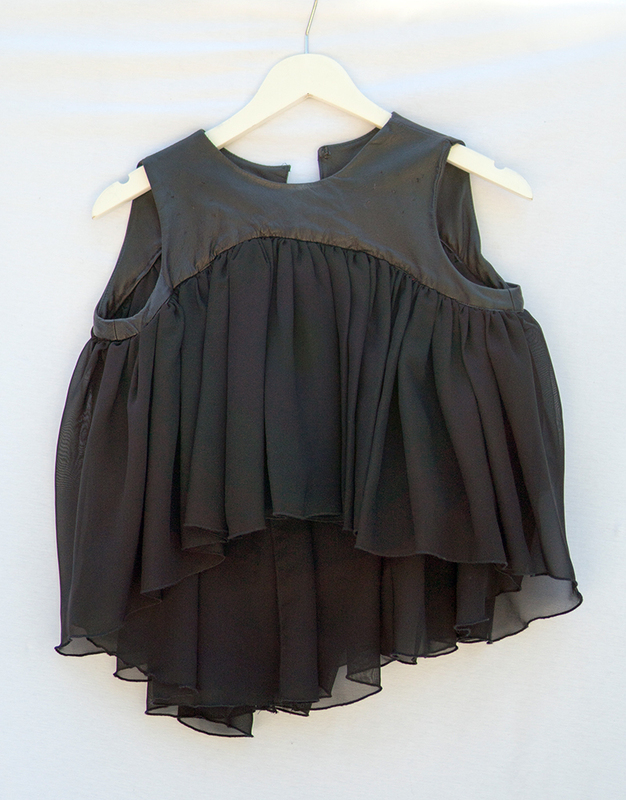 Black leather and chiffon crop top. Size XS. Has perforations where beads were removed.